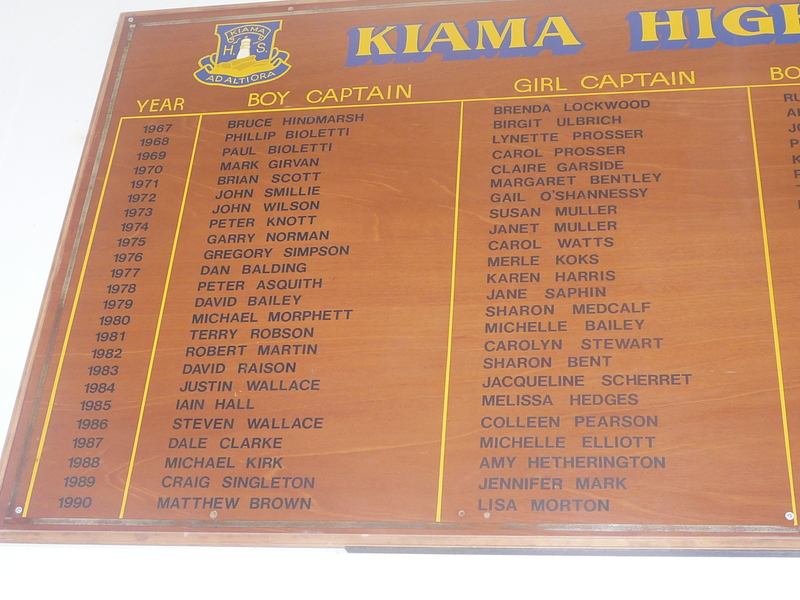 There has been a Kiama High and Kiama High School Captains since 1954. 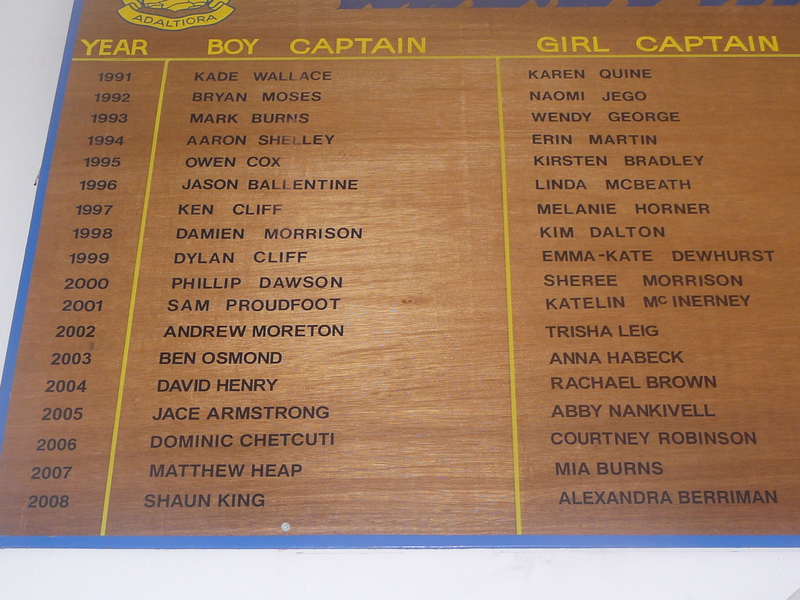 Is anyone has any infomation about any of the people on this board let me know in the comment section below. Jack Alexander, Australian and NSW Rugby League representative. Matt Brown, NSW Labor Member for Kiama. Kim Dalton (27 April 1981 – 1 November 2005), Kiama’s first international Taekwondo representative, multiple NSW, Victorian and Australian champion, fifth dan blackbelt and Illawarra’s highest ranked female blackbelt. Author of The Real Fight and KHS school captain. 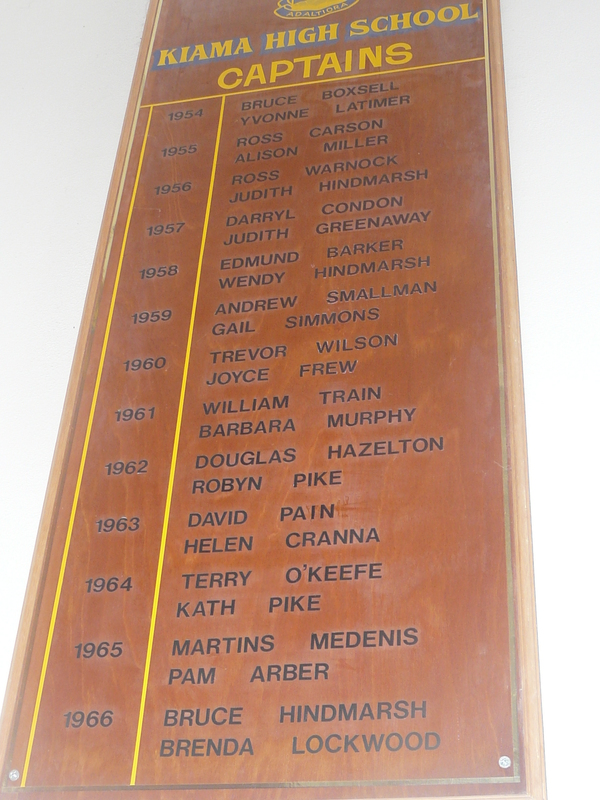 Winner of Kiama Junior Sports Award, inductee in the inaugural Kiama Sporting Hall of Fame 2008. Life saver Kiama SLSC. Sally Fitzgibbons, the current U18’s Girls Junior World Surfing Champion. Donna Kosta, a national Taekwondo champion. Robbie Maddison, world record for the longest motorcycle ramp jump at 322 feet 7-1/2. Former students Josh Morris and Brett Morris are rugby league players for the St George Illawarra Dragons. Luke Muttdon, a national u18s rugby league representative. Todd Prestage, former WCT surfer. Former student Ashton Sims is a rugby league player for the Brisbane Broncos. Rod Wishart, Australian and NSW Rugby League representative.